A couple of quick posts begin the year of separate pieces that emerged towards the end of last year. On a more geopolitical bent than some of my previous work, but reflects a broader trend in my work. First up is an interview that I did with the magazine Fortune in India about India’s views and response to the Belt and Road. Raffaello Pantucci from the London-based think tank The Royal United Services Institute explains what India has got right and what it has got wrong about the initiative. What do you think most people are getting wrong about the Belt and Road Initiative (BRI)? What’s most missing in the discourse is often perspective from these countries (the countries through which the project runs) and which reflects their interests. We should be wary of superimposing our external interpretation or perception on them. For instance, this entire point about debt traps. Now there are issues about debt, but it is not really about China trying to trap these countries into debt. It is more about the capacities and issues within these countries. Two problems happen while analysing the BRI: one, people tend to think of it as one grand strategy as opposed to lots of things happening in diverse ways in lots of places; and [two], try to superimpose that view or superimpose the view of the bigger U.S.-China clash that is happening now onto this. But both are not quite correct. There are many nuances that get lost when we cut in that way. What are the most interesting nuances in the Indian subcontinent that are being missed out in the BRI analysis? On the India side, there is a tendency to think that India does see this as a big, hostile thing [in] its entirety, whereas I would say that the reality is in fact India can never sign up to the BRI project in its entirety because the China-Pakistan corridor cuts through disputed territory [Pakistan-held Kashmir]. But there are other elements in the vision like the Asian Infrastructure Investment Bank (AIIB), like investment into third locations, and like Chinese investment into India that the Indian government quite likes and would like to foster. In Pakistan, once again we talk about the China-Pakistan Economic Corridor (CPEC) as one overarching thing whereas, in reality, these are a number of smaller projects. And even the loans are of various kinds—some are loans given by Chinese banks to Chinese companies to complete projects, others are loans given to the Pakistani government as a concessionary rate, and then the Pakistani state hires companies on projects. We have a habit of treating these as one big block whereas actually these are a bunch of different projects being handled in different ways and with different kinds of reactions on the ground in Pakistan. In some regions, you see some tensions and local pushbacks on the ground in Pakistan like in parts of Balochistan; in some others, like in parts of Punjab, people are quite happy about these projects. In this scenario, how do you look at the insurgent attack on the Chinese consulate in Karachi (in November 2018) for which Pakistan blamed India? That incident did not surprise me in the least. If you track recent incidents in Pakistan, there have been more and more direct attacks on Chinese interests in Pakistan by militant groups. We recently had an incident where a bomber of the BLA (Balochistan Liberation Army) targeted a busload of Chinese engineers. The BLA has been very clear that they are targeting Chinese interests in the country. The accusations against India have a long history. The thing that worries me is that while it is impossible to say whether there is any merit to these accusations, what is certainly true is that there is a lot of anger in Balochistan, which has been there for a long time. What they have now realised is that attacking the Pakistani state hasn’t really delivered any results. They have realised that if we attack the foreigners we will get more attention internationally, and we are attacking the Pakistani state’s biggest ally; and that in itself might deliver some results for us. It is erroneous to blame this on India or Afghanistan, and it is impossible to know for sure if there are any elements from these countries lurking in the background, but what we can say for certain is that there is real anger in Balochistan, and it has now decided that targeting the Chinese gets some sort of a reaction. If this flares up, what does it mean for CPEC? The underlying logic of CPEC would remain and this will remain an irritant to that. If the Chinese put more pressure on the Pakistanis to stop this kind of attacks, you will see a much stronger crackdown on the Balochi groups by the Pakistani forces. CPEC remains important and within Pakistan, CPEC has become kind of synonymous with Pakistani national economic rejuvenation, and that’s important for the whole region. Chinese companies will have much greater security around their assets and they might struggle on sending large numbers of engineers to Pakistan if these sorts of attacks escalate. But China is big; they will still find some people to send and its unlikely that these kinds of attacks would bring some sort of a grinding halt to the CPEC. A major attack might mean that the Chinese might [have] some of their security forces on the ground, but largely they would want the Pakistanis to solve this. What ramifications does China’s stringent actions on the Uighur Muslims—including ‘re-education camps’—in the Xinjiang region have on its ties with Central Asian countries, Pakistan and the BRI? What has been depressing is the lack of response from the Muslim world on this issue. Whatever comments there have been has largely come from Western capitals, and some from Malaysia. This is mainly because those countries do not want to upset China. But there have been some tensions in Central Asian countries some of whose citizens live in China and who are getting caught up in these issues in the Xinjiang region. What we have seen is concern, for instance, in Kazakhstan, where people are worried about these measures in China making their influence felt in their own country. There is pressure from the people in some of these countries for their governments to bring up these issues with China. This is not what the governments want to do because they want economic ties with China. This friction will grow. How will the BRI project impact India’s future relations with China and Pakistan? Clearly, in the Indian strategy vision, China is the biggest threat they look out and see. You see this in all kinds of things, in the strategic military purchases of India, in the so-called ‘necklace of diamonds’, in its relationship with Japan and the U.S. But notwithstanding all of this, we still see India hesitate to let the relationship with the Chinese to blow up into a full-fledged confrontation. That’s why we haven’t seen the Quad [Quadrilateral Security Dialogue; the strategic coming together of the U.S., India, Japan and Australia] really live up to its expectations. This is because none of the countries want this to become very confrontational and seem like a great front against China. Because they realise that they have other business with China. The U.S. has been trying to push things towards a confrontational direction, but the other countries realise that they must engage with China, its rise is happening around their borders. It is a very complicated picture. The real question going forward is how India will accommodate China’s rise, but also that China must learn to handle India’s rise and take its concerns more seriously. They have historically really looked down on India and treated India in a really disparaging fashion. This has led to angry confrontations and a sense in India that it just not taken seriously enough. I think there is a rebalancing that will happen [between the two]. And if that happens successfully, it could be massively beneficial to both. But at the moment it seems to be that national pride in both countries means that they are butting against one another but if these two great powers can figure out a way to work together and how, their growth models would intertwine with another. What is the low-hanging fruit that India and China can pick off to better their relationship? The low-hanging fruit could be Afghanistan. If India and China could agree that they would partner in Afghanistan, you could see a real game changer on the ground in that country with hugely positive effects. The other is why does India and China have to see projects in the surrounding island countries as threats? Why not jointly build infrastructure projects using the AIIB or the BRICS Bank, which could again lead to cooperation. More belated catch up posting from my occasional column in the South China Morning Post, this one published at the same time as the SCO Summit and G7 in Charlevoix. While the world was captivated this week by the globetrotting show of US President Donald Trump, another summit just days earlier suggested what an alternative world order might look like. Various heads of state from member nations of the Shanghai Cooperation Organisation (SCO) met in the Chinese city of Qingdao for the bloc’s annual heads of state meeting. The SCO’s activities have been limited in the decade and a half since it was formed but this year’s summit had some significant moments. First and foremost was the presence of – and handshake between – Indian Prime Minister Narendra Modi and Pakistani President Mamnoon Hussain. While the membership of the two regional rivals is likely to be a major block to future activity, the presence of their leaders showed some of the organisation’s potential. Modi’s attendance alone signalled that the world’s biggest democracy wanted to maintain strong links to this archetypal non-Western institution to make sure it had all of its international bases covered. The event was also an opportunity for two of the West’s biggest pariahs, Iran and Russia, to grandstand. In the past Beijing has sought to tamp down efforts by Iranian leaders to transform the summit into a chance to bash the West. Back in 2010, President Mahmoud Ahmedinejad was so disappointed by the SCO’s refusal to admit Iran over fears of antagonising the West that he skipped the summit in Tashkent and instead attended the Shanghai Expo. But in Qingdao, the group chose to unite to highlight their displeasure at renewed Western sanctions against Iran and the collapse of the Iran nuclear deal. Russian President Vladimir Putin has also regularly used high-profile summits in China to show disregard for Western sanctions and the optics around Putin’s attendance were similar to many other previous events, though this time are topped with a medal for his “friendship” with China. 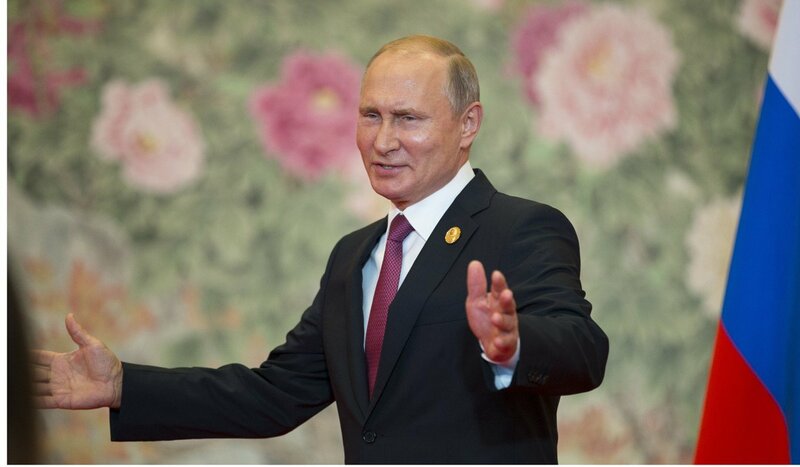 On the sidelines of the summit, Chinese President Xi Jinping announced that “no matter what fluctuations there are in the international situation, China and Russia have always firmly taken the development of relations as a priority”. On live television he then proceeded to give the Russian leader a gold medal lauding him as “my best, most intimate friend”. Awkward phrasing aside, this is a clear signal that China is siding with Moscow in tensions between Russia and the West. While Beijing might not always approve of Moscow’s disruptive behaviour on the international stage, the reality is that the two powers will, under their existing leaderships, always stand together against the West. And this signal by Beijing was the most notable point about this entire summit. China has long treated the SCO with the reverence required of an institution that brings together the heads of state of a number of its allies and which it helped name, while at the same time disregarding it as a functional organisation. Beijing has been unable, for example, to realise some of its key ambitions with the group. China has sought to push the SCO towards greater economic integration and activity, something resisted by other members fearful of China’s further encroachment into their territories. Moscow sees the SCO as a way to try to control Chinese efforts in Central Asia while the Central Asians broadly view it as a possible way to maintain a balanced conversation with their giant neighbours. Meanwhile, powers like Iran, India or Pakistan see it as an alternative international forum that they want to be involved in. 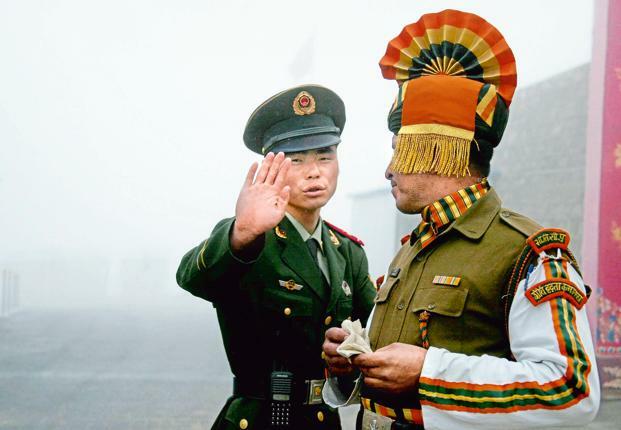 With the accession of India and Pakistan most observers in China fear that the organisation’s already limited ability to operate is going to be even further reduced. Yet none of this detracts from the fact that for Beijing it is a forum which they are hosting which now brings together the leaders of over a third of the planet’s population. They are clearly the dominant player within it, and it is a forum in which Western powers cannot meddle. This gives Beijing the perfect opportunity to show its stature on the world stage and its efforts to offer a more stable alternative world order to the chaotic one that is most vividly expressed by the Trump administration. The SCO may have done remarkably little beyond hold big meetings and China’s activity in all of the SCO member states at a bilateral level is infinitely more significant than its efforts through the bloc. But at the same time, this is a forum that has consistently met and only grown. Under its auspices, China has managed to slowly encroach on Russia’s military and political dominance in its own backyard, and has now persuaded the world’s biggest democracy that it is an important group to be involved in. This slow march forwards stands in stark contrast to the imagery and disputes to emerge from the G7 summit in Charlevoix. And while the Western media may have largely ignored events in Qingdao for events in Canada and Singapore, the rest of the world is paying attention. An alternative order might be starting to crystallise, or at least one that has potential to deeply undermine the West’s capacity to determine the future of world affairs. Another slightly longer piece about China lands this time in Current History, ‘the oldest US publication devoted exclusively to world affairs’. This looks at China’s growing push into South Asia, and India’s increasingly tense response to it. Somewhat relevant but a bit late for this piece, a Chinese colleague recently described managing relations with India as ‘ticklish’ which struck me as quite apt. This topic is going to grow in significance as time goes on, and am sure will end up doing more about it. In the meantime, for those interested in similar topics, check out the China in Central Asia site. I have posted a version of the paper here, but do check out the Current History site as well for the rest of the excellent journal. At a conference in China a few years ago, I watched as a Chinese expert gave a presentation laying out Beijing’s view of the military conflict that it faced in nearby seas. It was largely a story about the United States and East Asian competitors, and China’s aggressive assertions of ownership of islands in the South China Sea. At the end of the presentation, a former Indian officer raised his hand and indignantly asked why India had not been mentioned as a competitor. In a moment of surprising candor, the Chinese expert responded that he did not include India because, from his perspective, it did not pose much of a threat to China. The answer riled the Indian participant, but it reflected a fundamental calculation that exists in Beijing about India. It is a calculation that could cause serious complications for China’s broader South Asian vision, and ultimately provoke a clash between the two Asian giants. At stake is China’s Belt and Road Initiative (BRI), a much-discussed and puzzled-over concept. It has been variously described as a Chinese power grab; an attempt by China to promote its companies’ overseas interests and build infrastructure to suit its own interests; an effort by Beijing to claim leadership of the international order; or, by Beijing’s own account, a project to bind together a “community of common destiny.” But it is really best understood as an umbrella concept that acts as a central organising principle for China’s foreign policy. The core of this scheme—building trade and economic corridors that emanate from China in every direction—strengthens China’s position in the global order and across the Eurasian landmass. The aim of these corridors is not only to help Chinese firms go out into the world and increase China’s trade connections. Most importantly, they will help China develop domestically. Ostensibly, this is a benign concept. By improving trade and transportation links through investments in infrastructure, China is enhancing the global commons. Few would say that more eco- nomic connectivity and prosperity is a bad thing. But the reality is of course very different. China is advancing its own national interests, and is doing so by offering a one-size-fits-all policy—which means that it can appear to be proffering the same opportunity to European powers and Southeast Asian neighbors alike. While this is a perfectly understandable self-interested approach, Beijing has been blind to geopolitical problems that it is exacerbating and which may in the long term disrupt its entire strategy. For more, go either to Current History or get in touch or download it here. Catching up posting as ever, this another piece for South China Morning Post looking at China’s problems along the Belt and Road with reference to current tensions with India potentially being an indicator of what could happen more substantially. Geopolitics matters. As we move deeper into a multipolar world, the importance of grand strategy will only grow. Relations between states at a strategic, economic and even emotional level will all intertwine to create a complicated web that will require sophisticated diplomacy to navigate. For China this is a particularly important lesson to learn, given its keynote “Belt and Road Initiative” that requires an acquiescent and peaceful world to deliver on its promise of building a web of trade and economic corridors emanating from China and tying the Middle Kingdom to the world. China’s current stand-off with India highlights exactly how geopolitics can disrupt Xi Jinping’s foreign policy legacy initiative. The details of the specific transgression within this context are not entirely important. China is asserting itself in its border regions and changing facts on the ground to solidify claims. Indian push-back is based on strategic relations with Bhutan that go back a long way and a concern about how this changes Indian capabilities on the ground. It comes at a time when relations between China and India are particularly low, with suspicion on both sides. Most analysts do not seem to think we are going to end up with conflict, but it is not clear at the moment what the off-ramp looks like. But whatever this exit looks like, we are undoubtedly going to see China finding it tougher to advance its Belt and Road Initiative through India’s perceived or real spheres of influence in South Asia. This is something which is already visible in the broader tensions between China and India over Pakistan. China has focused on the country as a major ally that it is supporting to develop its domestic economy and improve its strategic capacity for a variety of reasons. Yet this approach directly undermines Pakistan’s perennial adversary India’s current approach of isolating Islamabad on the international stage as punishment for cross-border terrorism. Further, the CPEC route’s cutting through disputed territories in Kashmir provides a further spur to Indian concerns. At a more tactical level, China’s refusal to allow Jaish-e-Mohammed leader Masood Azhar to be included on the list of proscribed terrorists, and its blockage of Indian entry into the Nuclear Suppliers Group, all point to a relationship with which Beijing is clearly playing an aggressive hand. India has also shown itself to be a hardball player in this regard, making public shows of proximity to the Dalai Lama, a source of major concern to China. Of course, such a posture is either capital’s prerogative. Past relations between China and India have been fraught. The two countries have fought wars against each other. Yet at the same time, the overall tenor between the two is often in a different direction: both are proud members of the BRICS grouping (arguably the two leaders of it), and both have embraced the Asian Infrastructure Investment Bank. India is keen to gain a slice of the outbound Chinese investment, while China is keen to access India’s markets. Both see the opportunities and recognise that as Asian giants they have an upward trajectory over the next few decades. Together they will undoubtedly be stronger than alone. But this positive message is thoroughly buried under the negative news around the border spat in Bhutan. Rather than being able to build a productive relationship, the two countries now find themselves at loggerheads. This is a problem for both, but has an important lesson within it for China as it seeks to advance its Belt and Road Initiative globally. To be able to credibly realise the Belt and Road Initiative, China is going to need to have positive relations with partners on the ground, in particular major regional powers. With plans to build infrastructure, expand investments and grow physical footprints on the ground, Beijing is seeking to substantially increase its presence in regions where it is going to need more friends than enemies. When looking across South Asia, this means having a productive relationship with India. Without this, Delhi will find ways of complicating China’s approach or, more bluntly, obstructing it. Given the importance of some of the South Asian routes to the development of some of China’s poorest regions, it is important for Beijing to make sure that these corridors related to the Belt and Road plan live up to their promise. And this lesson is one that will be relevant outside a South Asian context. For Beijing to be able to deliver on the promise of the Belt and Road Initiative, it is going to need to watch the geopolitics. Similar problems may eventually materialise with Russia, or on the seas as Beijing seeks to turn the 21st Century Maritime Silk Road into a reality. Without friends along these routes, China is going to find it very difficult to make these visions work no matter how much money they try to throw at the problem. With nationals, companies and interests broadening and deepening, China needs an acquiescent environment and countries that are eager to work with it. Geopolitics is a chess game of many different levels, and as power becomes more diffuse on our planet, Beijing is going to have to learn how to play these games if it wants to deliver on the promise of its grand visions. Raffaello Pantucci is director of international security studies at the Royal United Services Institute in London. A very short piece for an excellent Central Asian regional newsletter called the Conway Bulletin looking at Pakistan and India possibly joining the SCO. 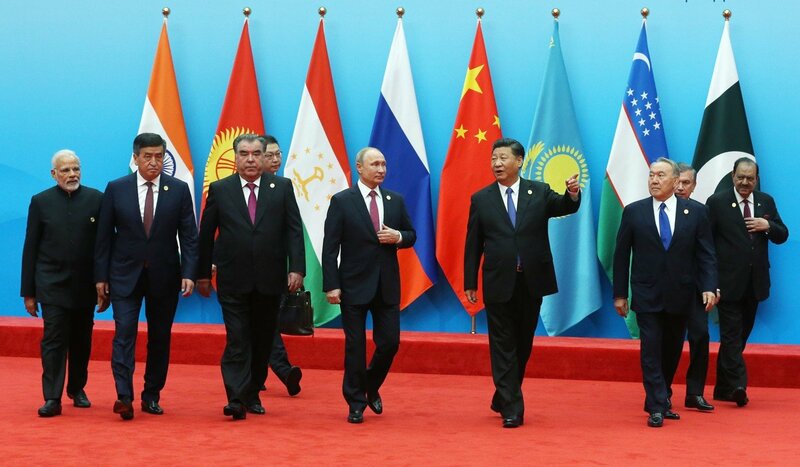 Expanding the Shanghai Cooperation Organisation (SCO) will strain its functions but could boost trade and relations between Central Asia and South Asia, writes Raffaello Pantucci. The Shanghai Cooperation Organization (SCO) has achieved remarkably little in its decade plus life. Established formally in 2001, it grew out of a regional grouping aimed at seeking to define China’s borders with the former Soviet Union. Over time, it has expanded beyond its immediate neighbourhood to include countries as distant at Belarus and Sri Lanka as ‘dialogue partners’. The current push to welcome both India and Pakistan is likely to further test the organisation’s already limited capability. The practical implications for Central Asia are unlikely to be dramatic, though in the longer term it may help bind Central and South Asia closer together and foster a greater sense of community across the Eurasian heartland. 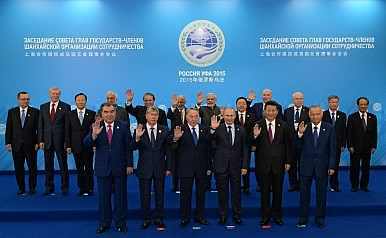 In practical terms, the SCO has always been a fairly limited organisation. Seen initially by Russia as a way of controlling Chinese activity in Central Asia, for Beijing it has provided a useful umbrella under which to pursue their stealthy expansion in the region. For Central Asian powers, it provided another format in which to engage their larger neighbours. While the primary thrust of its activity has been in the security space, China has regularly sought to push it in an economic direction. managing the security threats from Afghanistan, the QCCM in many ways replicates a function which one would have expected the SCO to deliver. The addition of Pakistan and India to the grouping is unlikely to change this dynamic. All of the nations involved in the SCO will continue to function through their own bilateral and other multilateral engagements. But it will offer another forum in which India and Pakistan are obliged to interact and will also help further tie Central and South Asia together. These ties have been growing for some time. Kazakhstan has expressed an interest in participating in the China- Pakistan Economic Corridor (CPEC) and Indian President Narendra Modi visited Central Asia last year. If India and Pakistan join the SCO, it will further help tie them together. Raffaello Pantucci is director of International Security Studies at the London-based Royal United Service Institute (RUSI). Is SCO Expansion a Good Thing? Catching up on some old posting again, combination of being busy and some technical difficulties causing issues with updating. This is a piece for The Diplomat in the wake of the SCO Summit in Tashkent which passed with very little attention. Whilst the brotherhood of European Union countries has shrunk by one, the community of Shanghai Cooperation Organization (SCO) states grew by two. Whilst it is by no means confirmed that India and Pakistan are full members of the regional security organization, their membership is all but assured as long as they are able to ratify the relevant documents through their national processes. The more existential question is whether this membership is going to transform the SCO in the same way that British exit from the EU is likely to transform the EU. As with the EU referendum, no one really knows, but it seems equally likely that the end result will be negative. SCO expansion has been a source of great trepidation for member states for some time. Previous efforts at expansion had stalled for various reasons. Iran was kept out both for practical reasons: it was under UN sanction in contravention to the rules. But realpolitik also played a role: the larger member states did not want to so openly join former President Ahmadinejad’s aggressive anti-Western alliance. Afghanistan was always kept at near arms length, reflecting some member states’ desires to bring the state in, whilst others preferred to maintain their relations at a bilateral level. And the question of India and Pakistan always seemed to be balanced by the two big powers (China and Russia) who each wanted one of the two in, whilst the Chinese generally grew concerned that an expanded group would lose coherence. In the end, China appears to have lost this struggle, obliged to both accept its close ally Pakistan as well as expanding a regional organization whose utility it was already questioning. Whilst to outside observers, the SCO was the primary vehicle of regional engagement, in reality, Beijing was undertaking a consistent level of bilateral engagement on the sidelines of SCO meetings. Every SCO Summit was accompanied by bilateral engagements, and by all accounts, it was at these engagements that all serious business was done. Previous Chinese efforts to push the SCO in new directions stalled, including Beijing-led efforts to create an SCO Development Bank, an SCO free trade area, or other economic initiatives. Most recently, China had shown the degree to which it was losing interest in the SCO as a vehicle for regional multilateral security engagement when PLA Chief of Staff Fang Fenghui raised the notion of a regional sub-grouping of China, Afghanistan, Tajikistan, and Pakistan as a vehicle for engagement on regional security questions. Whilst it is not clear that this proposal was a new regional concept as opposed to a potential relevant meeting grouping, its expression reflects a Chinese willingness to look beyond the SCO to resolve regional security questions and highlighting their skepticism toward the organization. This is in many ways a shame. The SCO, for all its failings, is an organization that might offer some solutions for a fractured region. Central Asia is a part of the world that is beset with border disputes at a very senior level that impede the most basic cross-border trade. The SCO is one of the few organizations that guarantees relevant leaders are obliged to meet with their counterparts on a regular basis on neutral ground. The hope for some was that by bringing Pakistan and India into this format, it would similarly force them to engage in another forum on a regular basis. In reality, however, SCO expansion is likely to produce little such impact. But it has potentially highlighted a reality in international affairs. Whilst people are keen to leave multilateral organizations in the first world, they appear keen to continue to join them in the developing world. Notwithstanding protestations of national strength and independence by SCO member states, the reality is that they are all 25 years young this year and keen members of an organization that they may not adore, but one in which they have had a resonant voice from the beginning. From an outsider perspective, some of the practices that are advanced through the SCO are questionable at best, but seen from inside they are comprehensible measures that address fundamental questions of national security. This clarity of purpose is what gives the organization its attractiveness, cutting through the nebulous normative concepts that drive European security projects. But as the EU has learned to its detriment, expansion and new members do not always lead to a positive outcome. It can also lead to a context in which individual member states dictate agendas and steer narratives away from hoped for goals. And it is here that sentiment for expansion for the SCO lies: somewhere between timid optimism and catastrophic exuberant expansionism. The SCO was already having difficulty crafting an identity and practical ideology with six member states, let alone with eight. Going forwards it is likely to continue to drift onward, meandering through the seas of time with no clear port in sight. Catching up on some old posting, going to put out a few things at the same time. All looking at China in Eurasia, a topic that continues to be a major focus. Of course, all of my work on this is stored on the China in Central Asia site, and this particular piece is something that was undertaken with my excellent RUSI colleague Sarah Lain. Proceedings of a workshop held in New Delhi in March 2016 to explore the challenges that China’s strategic Belt and Road vision to connect Central Asia hopes to address. In March 2016, RUSI, in collaboration with the Vivekananda International Foundation (VIF) hosted a workshop in New Delhi to discuss the challenges of connectivity facing China’s strategic Belt and Road vision, which aims to connect Central Asia and develop strategic economic corridors across the region. The workshop covered the different economic corridor concepts initiated by China and India and their aim of enhanced connectivity in Central and South Asia, how such visions will be realised and how they could enhance the security and economic development of the region. The report summarises these discussions and provides insights into co-operation between China and its regional partners.